McRees Precision "Front Slider" This slider Plate rides a 3 inch Protector bag perfectly. 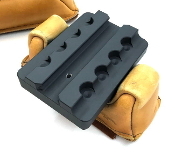 Great option for Benchrest or F-Class rifles! This adapter plate fits the most popular Arca-Swiss patterned tri-pod heads. 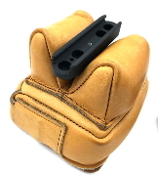 It mounts underneath the forearm of the G10 and G7 stock systems. Hardware included.